The passing of the PlayStation 2 isn’t the only event in the past month that marks the true end of this millennium’s first video game console generation. Just over eight years after the game’s record-breaking release in the fall of 2004, Halo 2 is going offline once and for all. Close to 2.4 million copies of Halo 2 for Xbox were sold during the game’s first day on sale in November 2004, earning Microsoft $125 million and making it the biggest entertainment release (in terms of sales) in history at the time. Its record has been broken many times over since, by its successor Halo 3 first, and later Activision’s Call of Duty series. Halo 2 has been on life support on the PC. The Xbox edition of Halo 2 was taken offline in April 2010, but a number of players actually refused to sign off from the game, keeping it open until well into May. In the parlance of the series, Halo 2 fans will be forced to finish the fight for good come February. Though they likely won’t have to stay offline for too long. Microsoft is no stranger to re-releasing products when there’s profit to be made, and with Halo 2’s tenth anniversary coming up at the end of 2014, a Halo 2 Anniversary Edition in the vein of 2011’s Halo: Combat Evolved Anniversary Edition, seems like a given. Rumor is that Halo’s current steward, 343 Industries, is already hard at work on an HD remaster of the game. 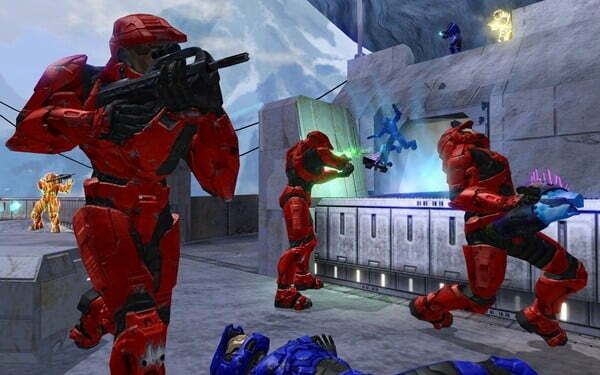 In July it was reported that 343 was giving Halo 2 a facelift to that of the first game. With a 2014 release date, it may well look even prettier given that Microsoft will be pushing its rumored new console by that time. Absence makes the heart grow fonder, you devoted 20 Halo 2 players. Take a year off!